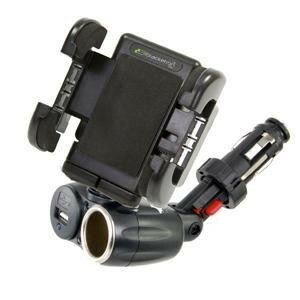 Bracketron IPM-197-BL Battery ChargerHunting Fishing Inc. The IPM-197-BL Battery Charger is ideal solution to quickly, easily and securely mount your GPS, iPhone or Mobile Electronic Device and charge it at the same time with a USB cable. Double your charging capabilities and never be without power again with this charger. 5V DC USB Input, 12 V DC. Has a 1 Year Limited Warranty.